Free Apparel at Sears Outlet | A Savings WOW! 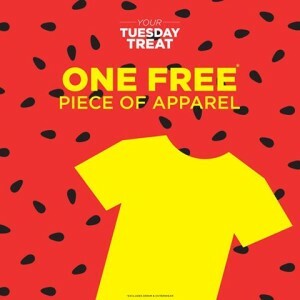 Today, Tuesday, May 27th, stop by your participating Sears Outlet and pick up your one free piece of apparel. Print out this coupon and bring it with you. You also have to use your free Shop Your Way Rewards card to get the free apparel, so be sure to sign up for one if you have not already. Don’t forget to link your Shop Your Way Rewards account so that I can be your Concierge Personal Shopper. I’ll help you shop, find coupons, deals, and of course, get some great savings!